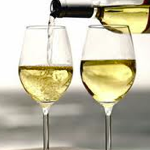 Craggy Range Archives - Write for Wine: It's Wine O'Clock Somewhere!Write for Wine: It's Wine O'Clock Somewhere! Thanksgiving is behind us, but we bet we’re not the only ones still eating leftovers! 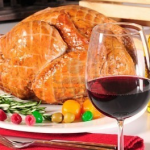 So here are some more wines to pair with turkey, in addition to the ones we told you about before the holiday. Again, these are wines that were sent to us to sample over the holidays. Thank you to the wineries who shared their bounty! This is the 10th vintage of Pinot Noir sourced from two of the winery’s estate vineyards in Freestone, CA — 51% from the Quarter Moon Vineyard and 49% from the Pastorale Vineyard. We were fortunate to visit Craggy Range during a trip to New Zealand in 2014, and the people in the tasting room were as lovely as the wines. We enjoyed the 2013 vintage of Sequoia Grove Chardonnay with cilantro-lime prawns on the deck on a warm summer evening. 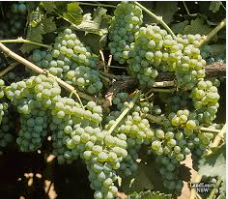 But we recently discovered that this food-friendly Chardonnay also pairs well with many Thanksgiving side dishes. Somehow, it’s rich and creamy, with light custard flavors — yet also refreshing with citrus zest, which will complement the heaviness of a holiday meal. We found it a little to oaky for our palates, but we know people who will absolutely love it. And if you’re finished with turkey leftovers, pair this Chardonnay with seafood or cheeses.